The soup I am making today originates from Provence and is composed of lots of veggies and Provence’s own version of pesto: Pistou. So if you like garlic, basil, Parmesan cheese and are not adverse to chunky soups, this one is for you! 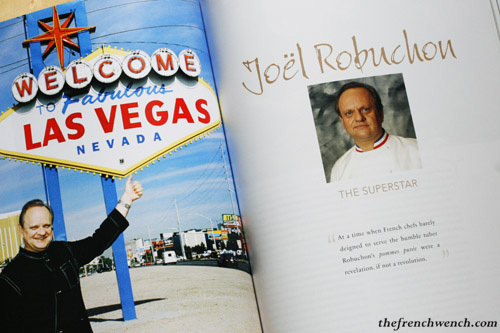 When we travelled to France last year, M. and I stayed in a hotel in Clichy, and still very jet-lagged were flicking through some cable channels until we fell on a documentary about Joel Robuchon. “Plus de beurre”, he was telling his assistant, “plus de beeeeeeurre!! !” (“More butter, MORE BUTTER!! !”), there must have been at least 500g of butter in the mash already, but he wanted more Beurre! That became the subject of a fair few laughs after that and as a souvenir, M. gave me the Complete Robuchon recipe book for Christmas.